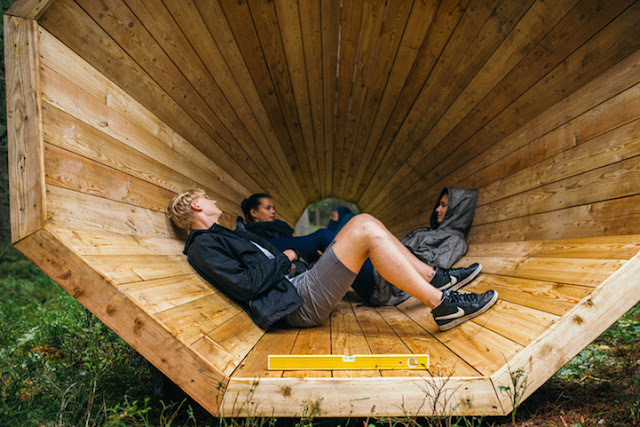 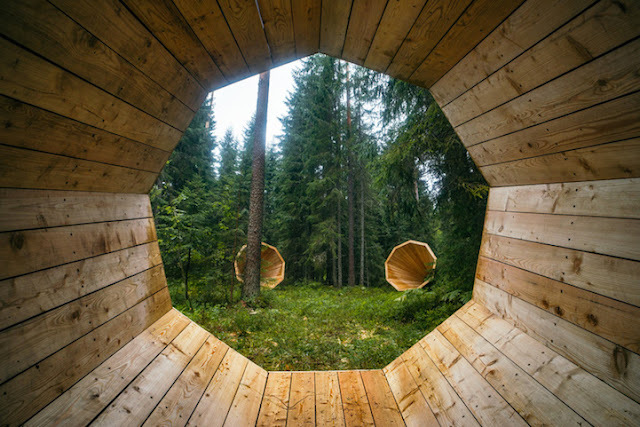 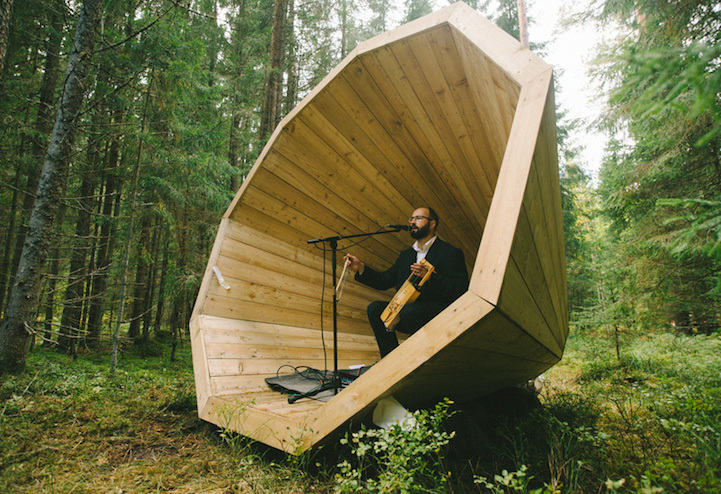 This is Ruup, an installation of three gigantic wooden megaphones, each three feet in diameter, situated in RMK's Phni Nature Center in an Estonian forest near Tallinn. 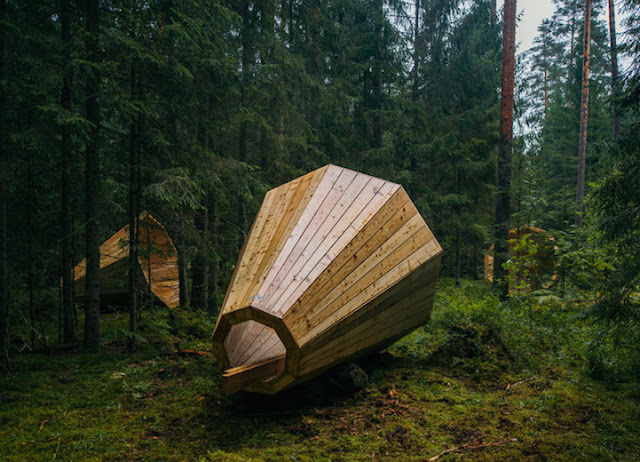 These timber megaphones, that amplify the sounds of nature, were a concept by Birgit Õigus and her fellow interior architecture students; Mariann Drell, Ardo Hiiuväin, Lennart Lind, Henri Kaarel Luht, Mariette Nõmm, Johanna Sepp, Kertti Soots, Sabine Suuster, at the Estonian Academy of the Arts. 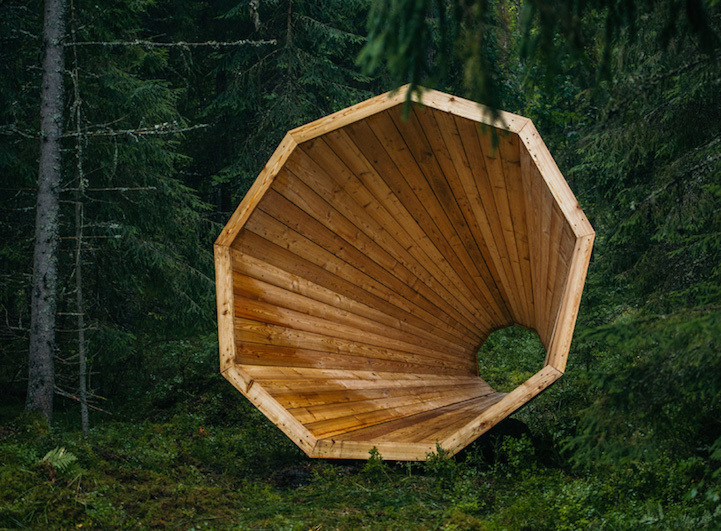 As well as enhancing visitors enjoyment of the environment the megaphones serve as shelters and impromptu performance arenas.